Acura is carrying over most of the RDX's features this model year, keeping together a formula that has made the compact SUV a best-selling member of the Acura brand. The family-friendly SUV is consistently praised by 2017 Acura RDX reviews for its ample amount of passenger and cargo space, as well as its high-tech amenities and affordable price point. 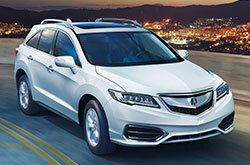 All of this has contributed to the RDX's continued popularity with those shopping for family cars near Phoenix. The 2017 RDX, despite coming in only one trim level, boasts a wide variety of choices and options. Standard features on the five-seat compact luxury SUV include 18-inch wheels, a power liftgate, dual-zone automatic climate control, leatherette upholstery, a seven-speaker sound system, heated front seats, automatic LED headlights and a rearview camera. On top of these features, the 2017 Acura RDX in Peoria comes with three package options: AcuraWatch Plus, Technology and Advanced. Several 2017 Acura RDX reviews, like Edmunds, highly recommend choosing the Advance package as it "doesn't cost much more than the base version of rivals...yet it includes high-end features like the AcuraWatch safety system that provides a safety net most shoppers will benefit from." Under the hood, the 2017 Acura RDX near Phoenix is powered by a 3.5-liter V6 engine that produces a healthy 276 horsepower and 252 lb.-ft. of torque. A six-speed automatic transmission rounds out the powertrain, as does a choice of either a front-or all-wheel drivetrain. 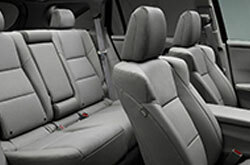 The RDX has earned a reputation as being one of the leading luxury family SUVs on the market today. 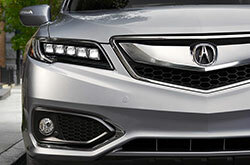 This is due in large part to the RDX's exceptional safety systems that include everything from standard equipment like stability and traction control, side curtain airbags and active front head restraints to optional amenities like forward collision warning, lane-departure intervention and automatic braking. 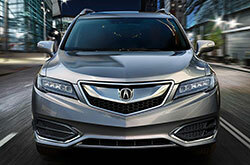 Visit us at Acura of Peoria today to take this fantastic family SUV for a test drive! Which Acura Models Have AWD? Don't just contemplate the 2017 Audi Q5, Volvo XC60, BMW X3, Infiniti QX30 and the Cadillac SRX when looking for new vehicles near Phoenix; also be sure to take a good hard look at the alluring 2017 Acura RDX. Thanks to its luxury features and other qualities, it could end up being a fine match for you. 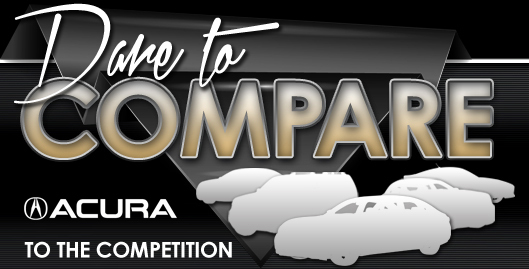 Use our review and try the comparison tool to see if the 2017 Acura RDX is suited for you. Also view OEM financing offers while you're here! 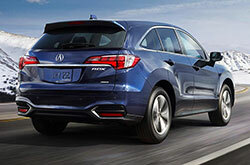 We're a in-town car dealer with a number of finance offers on new and CPO car models, including the Acura RDX. It's crucial to make a knowledgeable choice when buying a car, and we hope our 2017 Acura RDX review assists you when it comes to this. 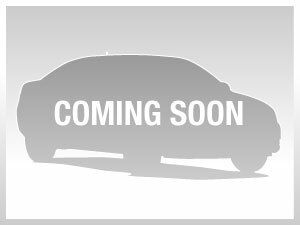 We have many Acura RDX models for sale in Peoria, AZ at Acura of Peoria ; stop by to benefit from a test drive - setting up an appointment online is easy. Take a look at the included video to see its interior features before you visit!